In October, NHL Network began anew from the headquarters of MLB Advanced Media, sharing space and resources as part of a multi-year deal aimed at revitalizing the home of hockey and improving its online product. Upon its relaunch from Secaucus, the former home of MSNBC, the network took over MLB Network’s Studio K and began sharing Studio 21. Studio 21 worked during MLB’s off months, but now baseball is back and NHL is entering the playoff season, meaning a crunch for studio space in the evenings, as both networks program live wrap around programming (such as “MLB Tonight” and “NHL Tonight”). The solution? 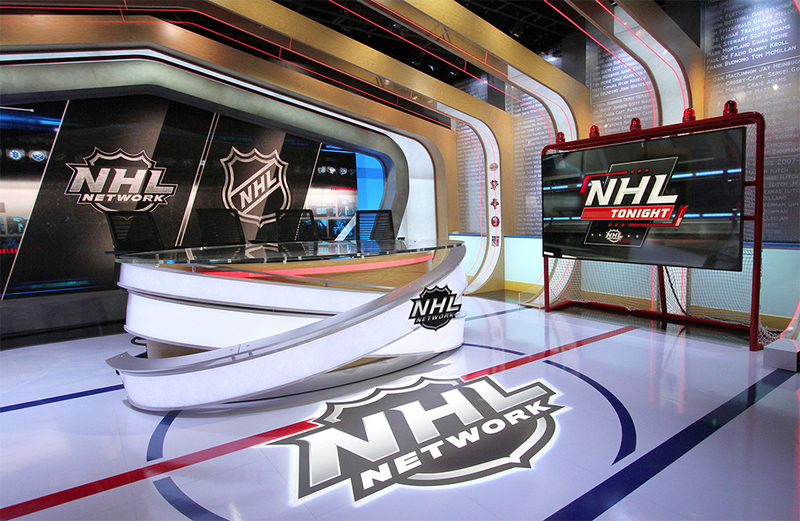 A new dedicated studio for hockey, dubbed “The Rink,” which creates a more permanent home at the facility for NHL Network. Designed by Bryan Higgason of HD Studio and built by blackwalnut, the set is designed to feel like an old-school hockey arena, with wood arches spanning the ceiling and a faux “ice rink” on the floor. 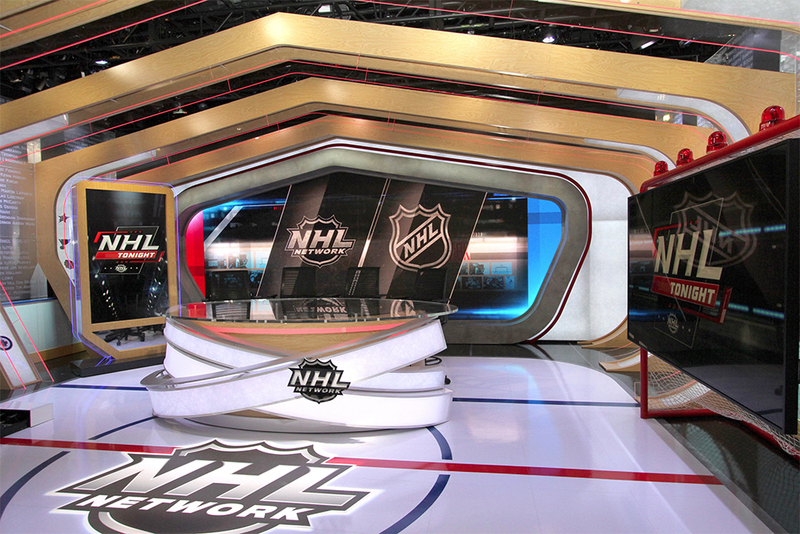 The sets main anchor desk features three rings intersecting with a NHL Network logo. 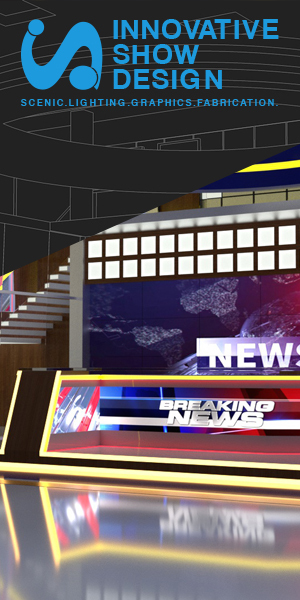 Behind the anchor desk is a 20 ft. Leyard 2.5mm LED wall from AV Design Services, which is surrounded by a faux concrete border. Plexiglass panels with past Stanley Cup champions wrap around the studio, with knee high paneling that matches stadium walls. To the left of the desk, an 84″ Philips monitor is mounted vertically, with a 98″ 4K Philips monitor hanging from a goal on the right. Lighting design was handled by FLDA Lighting Design.